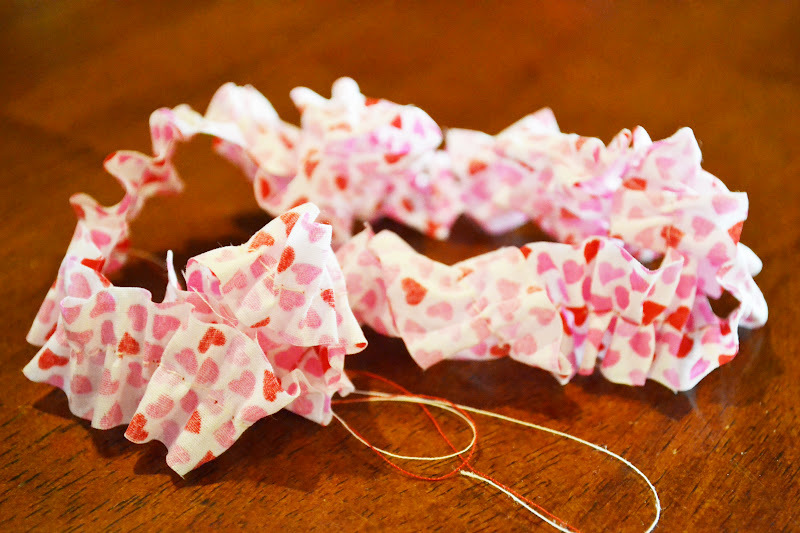 Polkadots on Parade: My Rufflicious Valentine! What is pink, red and ruffly all over?!? It was so fast and fun! 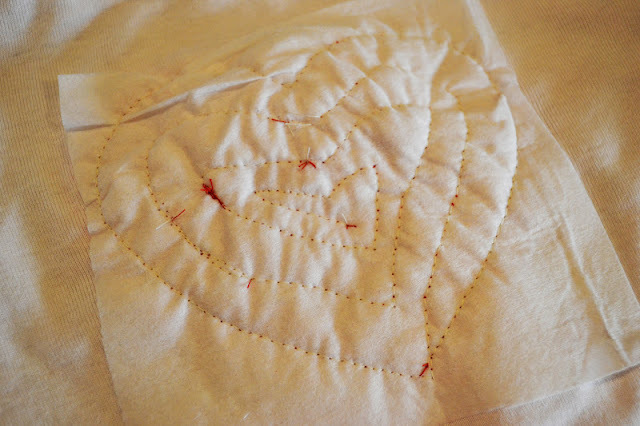 Cut out a heart in the size you want. 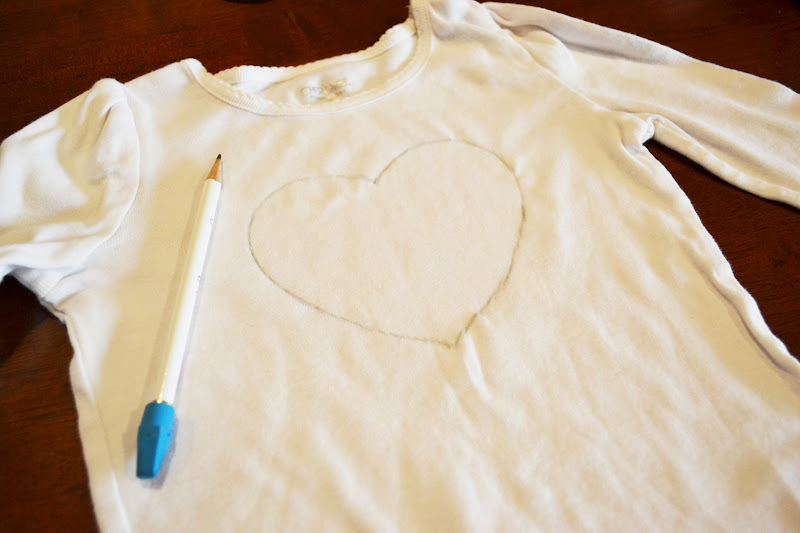 Trace the heart on the top with a pencil. 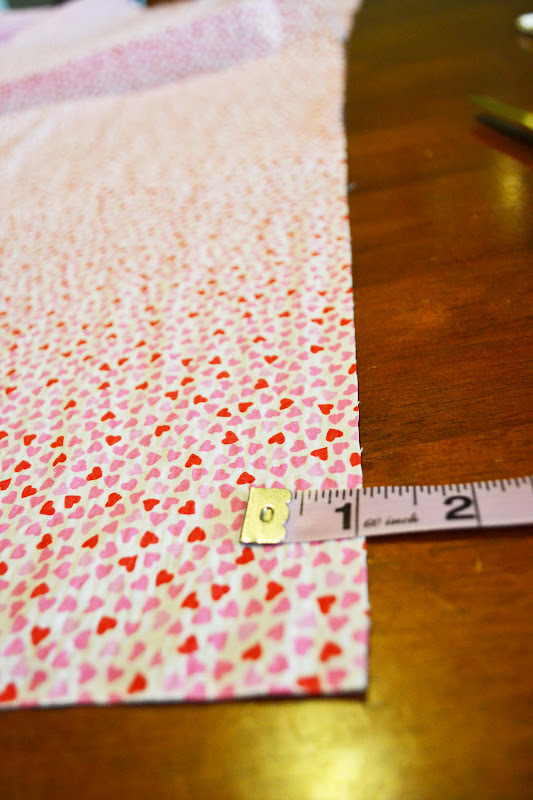 Cut a piece of interfacing, or stabilizer bigger than your heart. 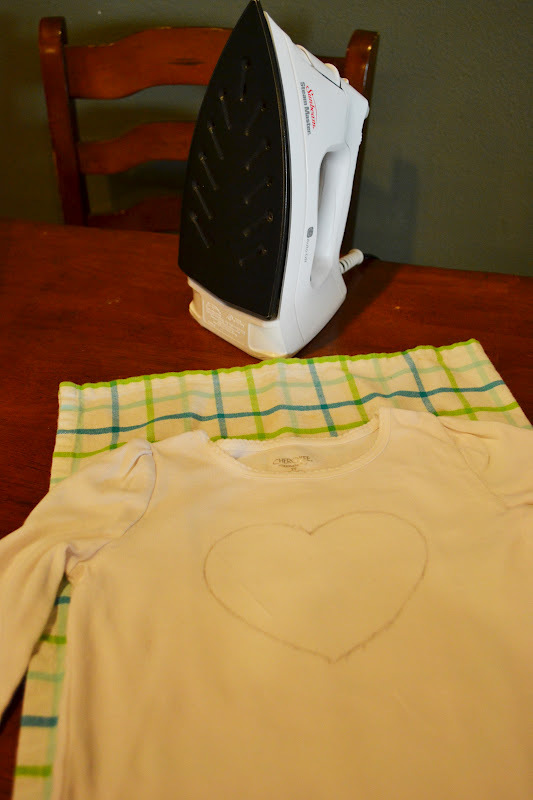 Stick that square under the heart, on the inside of the shirt and iron over it. If you turn the shirt inside out, this is what you'll see. 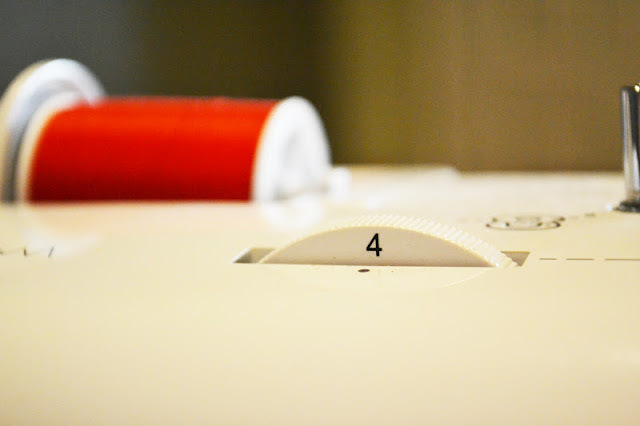 Cut 2 strips from the length of your fabric, no more than 1 inch wide. Set your stitch length as long as it will go! 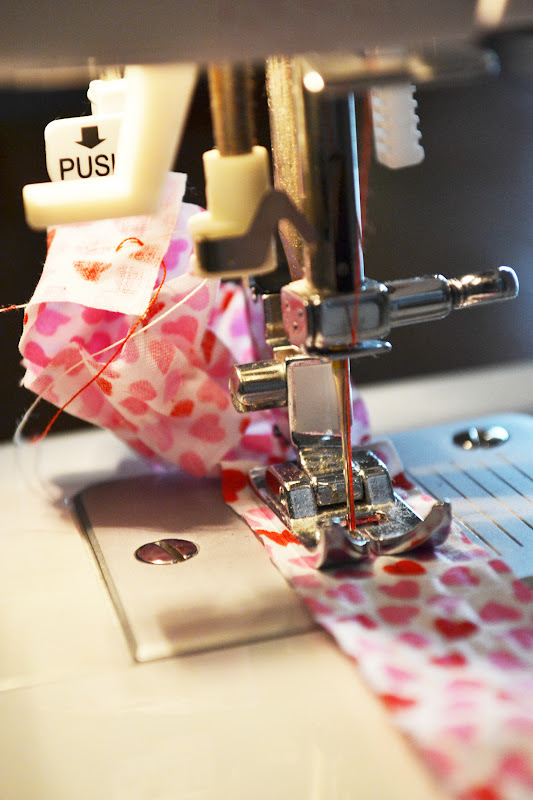 Sew down the middle of your strips, letting it naturally gather as it goes. Your strips will look like this when you're done. Starting at the bottom of your heart, begin stitching the ruffly strip along the pencil outline. When you reach the bottom of the heart, keep going, filling in the heart layer by layer. Be careful not to stitch through the back of the top too! Pull your threads through and tie them off. And I'm even more in love with it on my precious Valentine!! 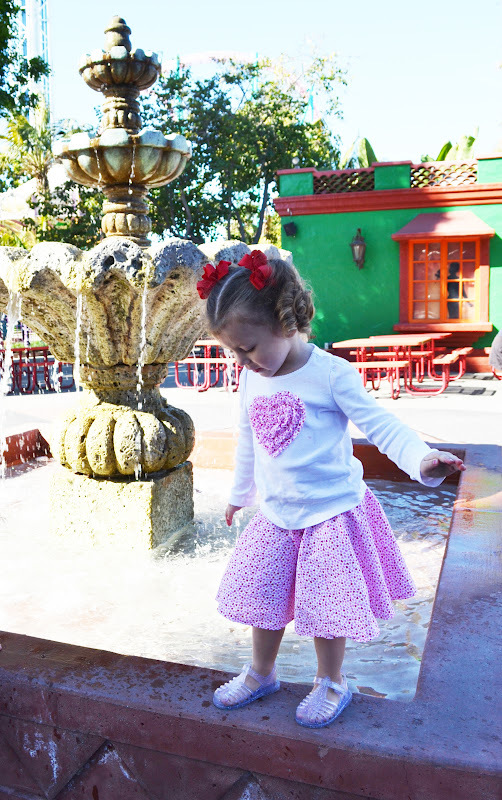 Add a twirly-whirly skirt and you have one happy girl! Have a rufflicious Valentine's Day!! Adorable!! And so quick and easy!! Can't wait to try it! Did you make the skirt too or are the fabrics just really similar? Very cute. This is just fab!! I love the whole outfit and HAVE to try it! Thanks so much for sharing. Ruffles are too cute! What a sweet shirt! Absolutely love the ruffles! 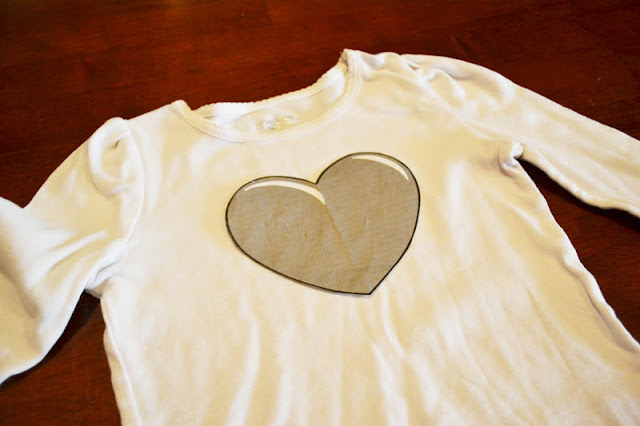 This shirt is adorable, I MUST try it soon! So Adorable! 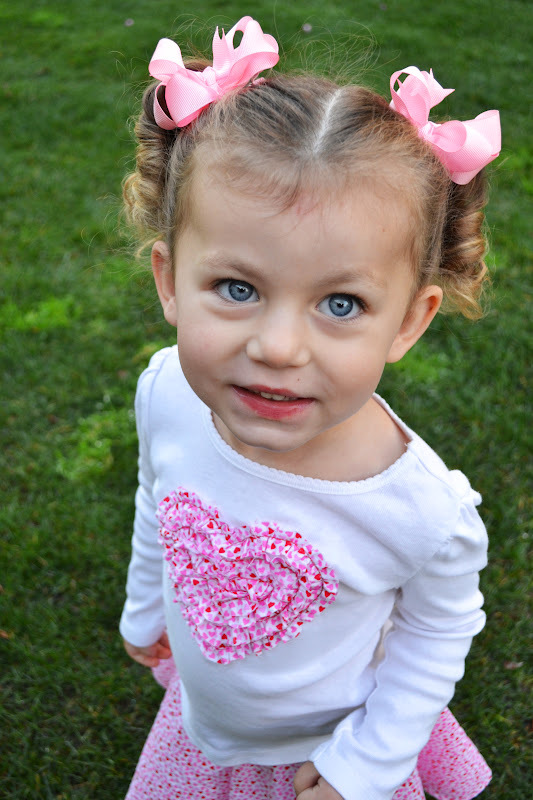 Both the shirt and your model are just too cute! Thanks for sharing. This is so cute! 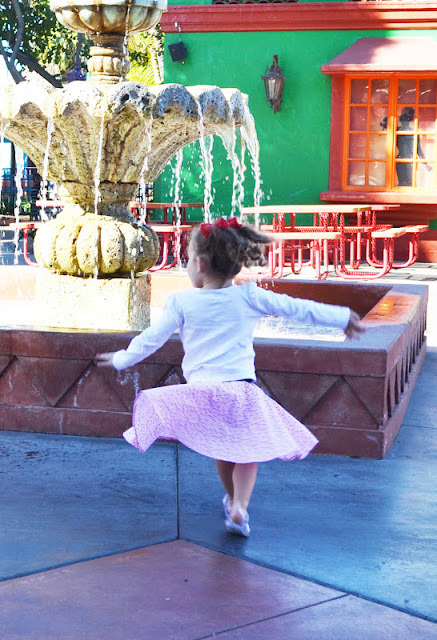 Thanks for linking up at Giggles, Glitz & Glam. Darling shirt! My little girl would love it. Thanks for showing how to make it! Love the ruffles! Great job, mama! Wow, this is so lovely!!!! Every little lady will love it!! love this! 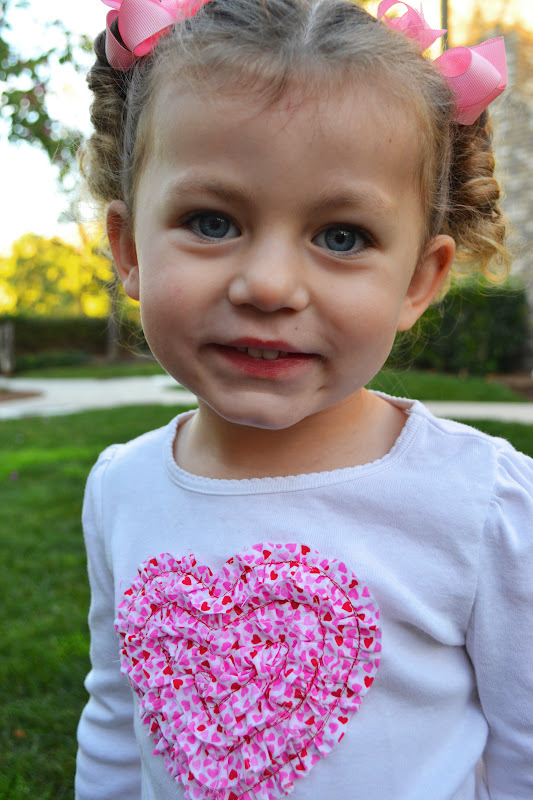 she's so cute and the shirt looks great thanks for sharing at my What We Wore and Made party! Plus I have a few fun giveaways going on too!! Make sure to check them out. The whole ensemble is super cute! Thanks for the tutorial! So sweet. 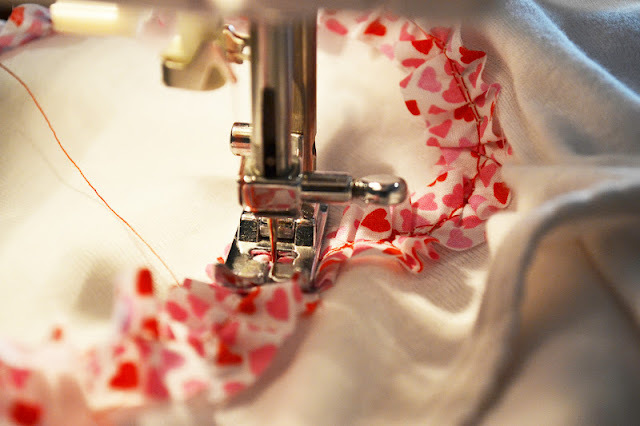 I might be becoming a sewing convert (might). Can't wait to go outside with small one without a snowsuit on. So cute and easy! Love the matching skirt, too. Will definitely be putting this on my list of things to make!!! Ok, I'm gonna have to try this tomorrow. So cute!!!! Oh wow, this is the cutest thing I've seen in a long time, especially coupled with the twirling skirt. I'm so glad you shared at our Link It Up Thursday party. This is so cute! 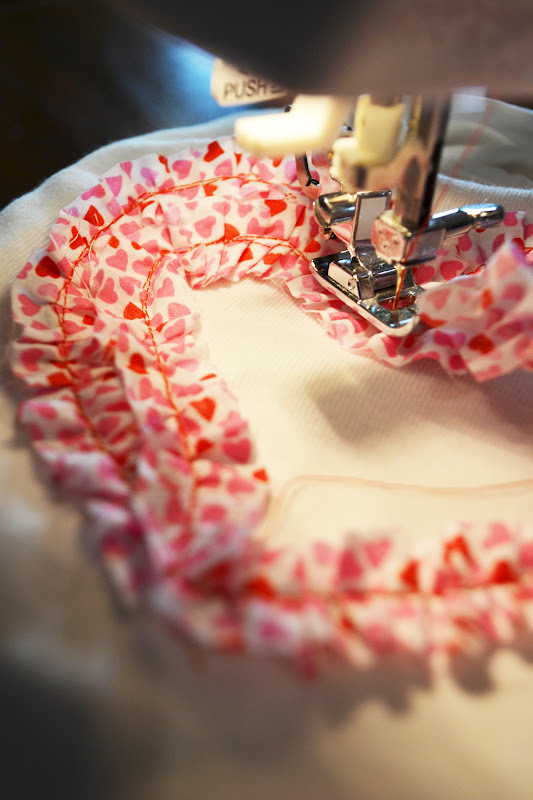 You made ruffles look easy to do. I host a weekly meme called Thematic Thursday. Each week has a theme and this would be perfect for this week's Valentine's theme. This is super cute. 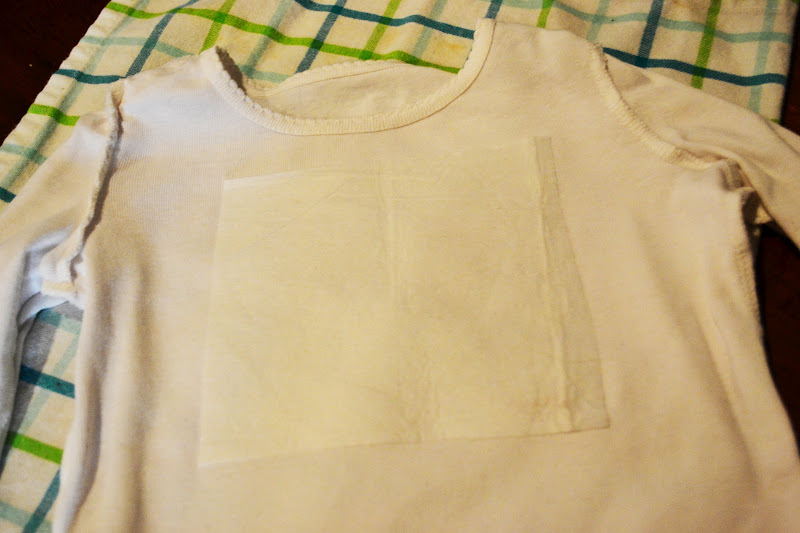 Thanks for the interfacing on the back tip. I think that would have helped on some of my past projects. Yes she is sooo cute...and so is that shirt...I don't sew...but my girls do..and they will love this! I shared your top on my post today. I just love it so much! Jaime, this is SOOOO aDORable! And so is she! My goodness, what a cutie pie! Thanks so much for linking this great idea to Shine on Fridays! Your daughter is a doll!! And what a gorgeous outfit! Thanks for sharing this at oopsey daisy! oh, how adorable--the project and the model!! Thanks so much for joining in with my Pinterest Linky Party and sharing these fun pictures of your sweet little Valentine! You know how I feel about this project...and YOU! Thanks so much for entering One Crafty Contest; best of luck!! So cute! 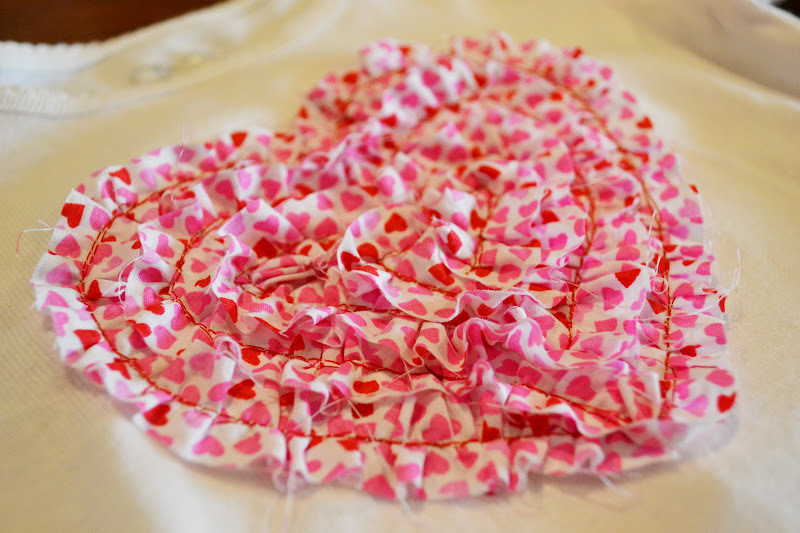 I am going to have to try this on one of my girls shirts! I am visiting from the One Artsy Mama Craft Contest and wanted to drop by and say hello. I am a new follower! Hope you will stop by http://garagesalesrus.blogspot.com and do the same. I tried this tonight. Mine did not gather so I just pulled on the bottom thread after sewing a strait line to get the gathered form. Thanks so much! Bathroom Reveal: Aqua & Yellow Wonderland! Tagged: A few random facts about Me!